The French are known for staging impressive protests, going on strike and rallying against alleged injustices. So ‘what’s new?’ would be a fair response to this week’s police demonstrations across some of France’s larger cities. There are no-go zones in France where the police cannot intervene and do their jobs in safety. So what is new? Quite a lot, actually. This time the police are the ones protesting, in uniform and, often, using police vehicles. This, as Interior Minister Bernard Cazeneuve pointed out, is effectively illegal. “Demonstrating with police cars and revolving blue lights… is not in conformity with the code of ethics of the police in the French Republic,” he told the Senate. On Monday (October 17) hundreds of officers drove their police vehicles down the Champs Elysées in Paris, with sirens blaring and lights flashing. Similar protests have since taken place in Marseille, Nice and Toulouse. They come at the end of a difficult 21 months for France. It rang in the new year with the Charlie Hebdo and kosher supermarket attacks in January, 2015. Security was heightened, putting extra pressure on the police force. In November, 2015, the Paris attacks prompted a state of emergency to be declared nationwide, adding further strain. As it was about to be lifted, in July 2016, France was hit again. This time in Nice. In addition, the Euro 2016 football championships and Tour de France were both held in the country. Both events attracted millions of tourists and both were successfully managed by the police and other security forces. Why are the police so angry? Police officers gave interviews to local broadcasters LCI and BFMTV, in which they said the protests had been organised spontaneously, without official backing from the unions. Those demonstrating say they are tired of being attacked and are under-resourced, particularly when it comes to tackling criminal gangs. They also say that they don’t have the necessary means to combat the threat of further terrorist attacks and are regularly made to work overtime. In a word, they’re frustrated. Alternative police-CFDT union representative Denis Jacob told jihadwatch.org there are ‘no-go’ zones, where police officers are not able to safely do their jobs, despite what the government may say. “Of course, there are no-go zones in France where the police cannot intervene and do their jobs in safety. And it’s the same for fire fighters or pretty much any representative of the state. “The police can’t apply the law in these areas, they are attacked. If the police can’t do their work, it’s because there are criminals and delinquents who don’t respect the law. National Police Chief Jean-Marc Falcone has also come under fire for allegedly failing to protect the force. Things reached boiling point after a petrol bomb attack on a police car on October 8. 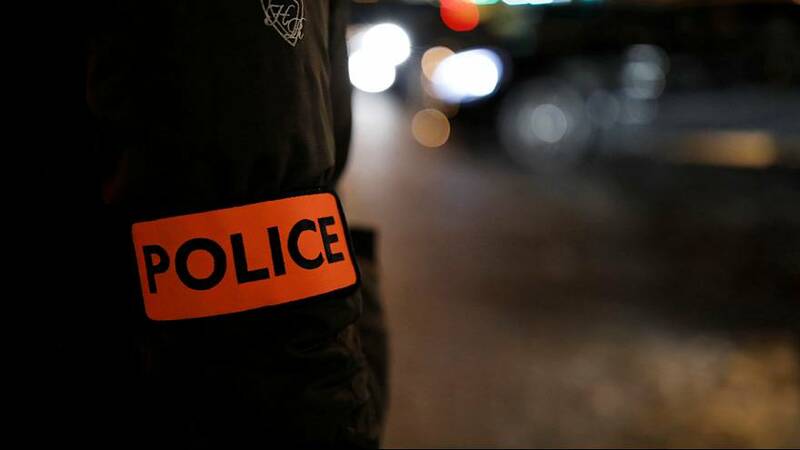 The incident took place in Viry-Chatillon, near Evry, some 30km south of Paris, at a crossroads notorious for smash-and-grab robberies on motorists. One police officer suffered life-threating burns and another seriously hurt after the four officers inside the car were reportedly prevented from fleeing the burning car. Falcone was later jeered and insulted as he arrived for security talks in Evry and his car was seen being plastered with protest leaflets. While both the Interior Ministry and National Police Chief have denounced the irregularity of the protests, their reactions to them have varied. Falcone has now ordered an internal investigation into the police demonstrations, citing “unacceptable behaviour by police officers.” He is calling for calm. A further, possibly unintended consequence of the unauthorised rallies is also conceivable. With the 2017 presidential election looming, the protests could play into the hands of far-right groups and parties such as Marine Le Pen’s Front National. Topics such as national security are high on the agenda of the far-right and the demos could be politically exploited to highlight perceived tensions among forces of law and order and the potentially negative consequences for French security.